Hello my lovely pumpkins and happy Monday! I cannot believe we are already in December and I love December because December means Vlogmas and oh how I love Vlogmas. Also, I am so excited to celebrate Christmas! 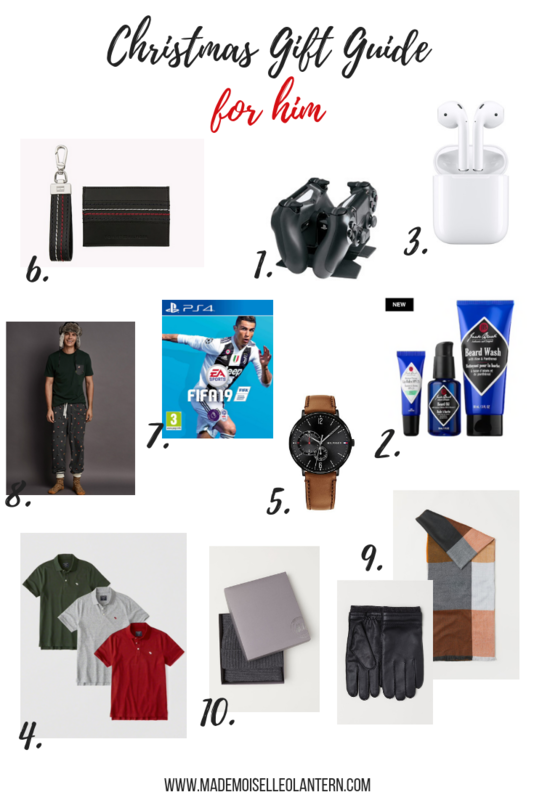 So this is the first time in my blog that I ever do a Christmas gift guide but I figured that since I am actually looking for gifts for my friend and family, I would share with you some ideas so if you are family, or my boyfriend, DON’T READ THIS! Now, let’s get into this post! just to let you know that this post’s format will be different, I won’t add a lot of texts because then the post would be too freaking long and of course, these are just ideas, you can choose to buy these things from different brands [probably what I will do], these are just suggestions and they are suitable for any gender, i know a lot of girl gamers or guys who love makeup!! Let me know in the comment section below what you are offering your loved ones this Christmas! Great gift ideas, something for everyone! Thank you! I am happy you like those ideas! AirPods are a great universal gift, and small enough to be a stocking stuffer, too! I love the festive PJs for the guys, too. I’m wearing that DW watch right now!! Also I love the PJs for guys….I think my husband needs a PJ pant upgrade! yes I think pjs can be so cute for a gift! Love that little photo printer! Such a cute idea! I think it would be such a cute present! I’ve been looking into that little photo printer by HP! Would be perfect for some upcoming vacations we have planned!